Known for its distinctive fur and its country-wide popularity, the Abyssinian cat has become a happy addition to many homes, and seems to be poised to arrive at many more. 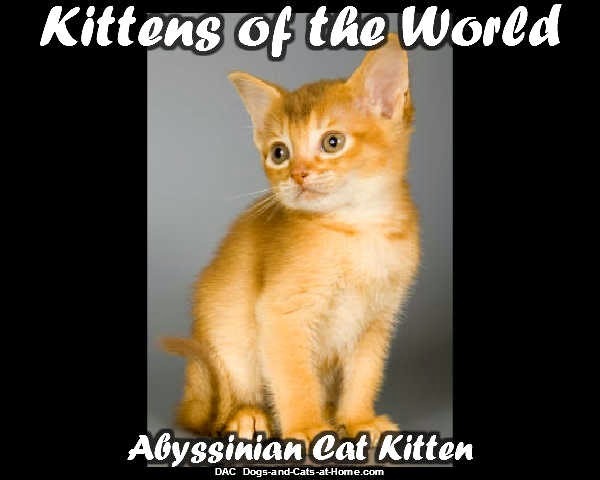 While rumors of the Abyssinian commonly trace back to Ethiopia, this cat's origins remain unclear. Genetic and DNA testing have traced this popular breed to the Indian Ocean or even Egypt, although its name originates from Ethiopia. Although its origins remain uncertain, the breed was developed over time in Egypt, where it is believed the British colonists purchased the distinct animal from traders. 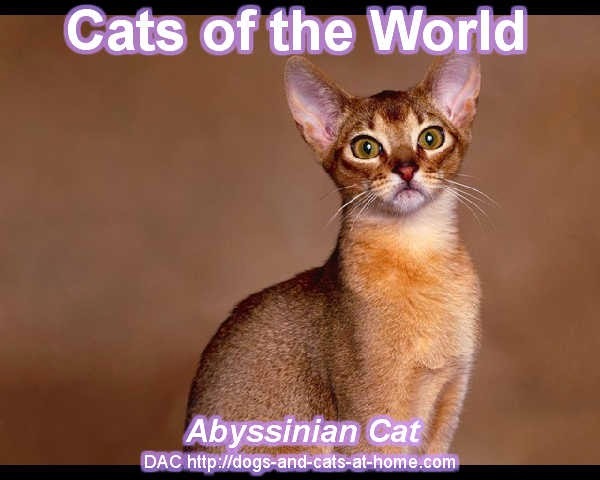 Wild versions of the Abyssinian cat still roam the northern parts of Africa, and this breed is said to date back potentially thousands of years. The Abyssinian cat is most notable for its coat. This distinctive coat can be traced back to a single mutant gene known as the "ta". To the touch, the hair is dense and extremely silky. Appearance, however, is what set this cat's fur apart from the others. Each hair on their bodies has multicolored bands surrounding it that compliment and accentuate the single base color. There are many different color variations within the Abyssinian community, and Abyssinian kittens usually begin darker at birth before growing into their lighter, final color as they mature. The Abyssinian is also known for its large and prominent ears, which always seem to be on high alert. The rest of the head is wide and shaped like a wedge. The Abyssinian's tail is longer than most other cat breeds as well, and it tapers to a very narrow point at the end. Abyssinian cats are also surprisingly strong and nimble which takes some owners by surprise since their bone structure appears incredibly fine and dainty. They also commonly have "frown lines" appearing above the bridge of the nose and the eyes which most notably forms a very distinctive "m" shape. You couldn't ask for a more intelligent and interactive breed. Abyssinian cats are well-known for their curiosity and their playful spirit, and they're very apt to learn quickly and easily. These cats are not known for serious snuggle time - they're more often than not up and about, constantly exploring their surroundings with a curiosity that is usually breed-wide. Many Abyssinians are even known to play fetch when given the opportunity. These cats spend so much time interacting and exploring their environment that they often don't receive the affection and attention from their human companions that they need. They can slip into depression when the interaction with humans is limited and they need a lot of positive reinforcement and encouragement to remain happy and stable inside their surroundings. Because Abyssinian cats are short-haired cats, they require very little in terms of grooming so they are easily cared for. While they may occasionally require a bath, it is not the norm. 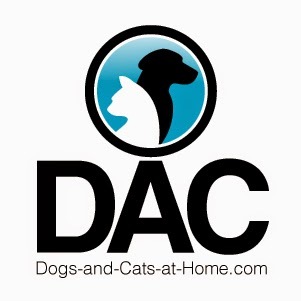 Brushing semi-regularly may be advisable, and a regular brushing can accentuate their unusual coats even further. 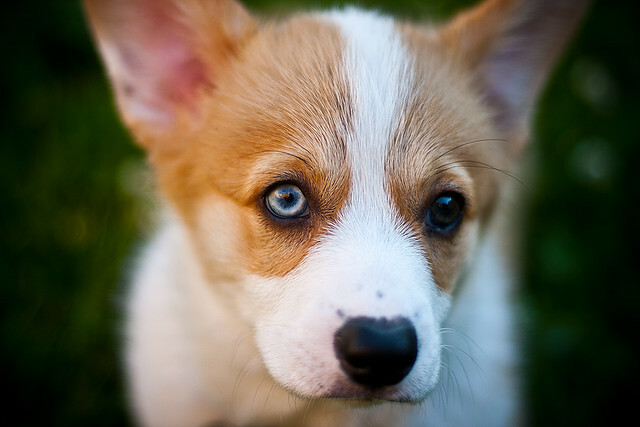 Their teeth, however, need to receive special care and it is highly suggested by veterinarians that they are brushed more regularly than they are bathed. Although rare, Renal Amyloidosis has also been found in certain Abyssinian cats, so having their health (especially their kidney functions) checked regularly is also advisable. The Abyssinian cat is the perfectly suited cat to practically any environment. 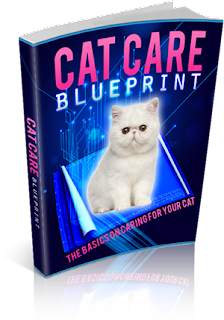 By maintaining external stimulation and engaging these intelligent and beautiful cats, you can guarantee a world of entertainment for your cat and for your family.